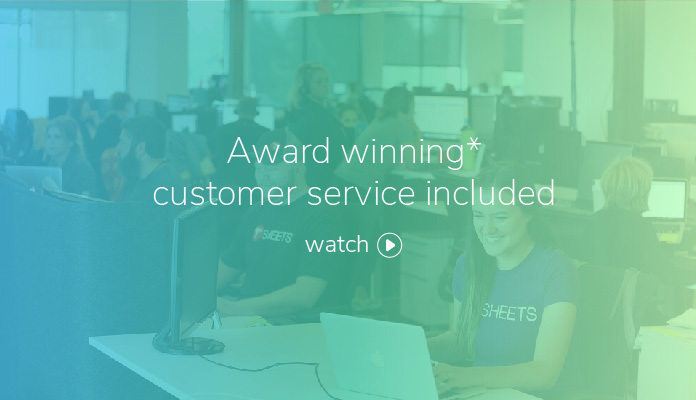 Become a Certified TSheetsPRO and be an expert in TSheets time tracking, our integrations, and more — start now, it’s free! Over 93 percent of business owners want their accountants to be certified in the software they recommend. Becoming a Certified TSheetsPRO establishes your expertise and can help you earn your clients’ trust. Best of all, our certification course is completely tailored to you and your practice, and it’s always free. Learn new skills that set you apart from the competition and help you become an even more trusted advisor for your clients. PRO certification modules are available on demand, so you can get certified anywhere, anytime. Your Certified PRO badge lets everyone know you’re a TSheets expert! Plus, it comes with the same white-glove support you’re used to. Sign up for the introductory course, PRO Fundamentals Certification, then complete modules as your schedule allows. Courses combine videos with interactive content to help you learn fast and retain knowledge. Complete a short, 20-minute quiz at the end of each module to graduate to the next. You’ll get multiple attempts to pass, and if you get stuck, our PRO Support Specialists are here to help. Give yourself a pat on the back for completing your PRO certification. Now, display your Certified TSheetsPRO badge on your website, social media profiles, and anywhere you advertise your services! Start with PRO Fundamentals. We’ll show you how to maximize TSheets for your practice and share our favorite TSheets tips and tricks. Move up to PRO Elite. The Elite Partner certification covers all TSheets functionality, from tracking time to selling TSheets to your clients. Become a PRO Tech. The Tech certification will help you expand your TSheets knowledge into the realm of how to connect, interact with, and troubleshoot some of our most popular integrations. Find our PRO certification course in the TSheets Learning Center.